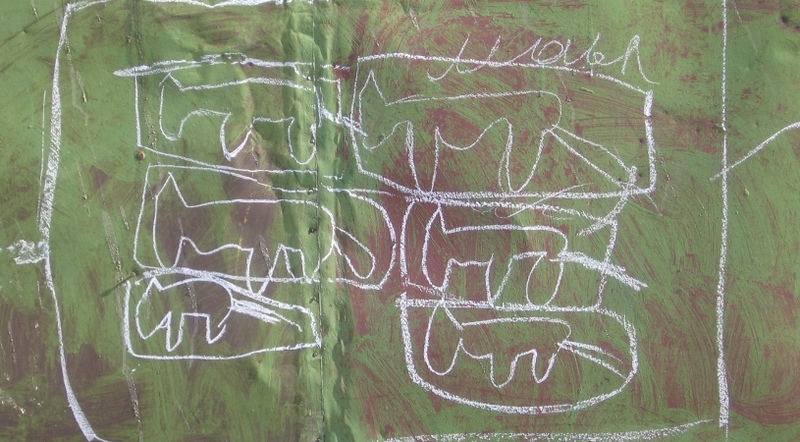 Deciphering the messages in the Middle Layer. A decade ago when I was a Peace Corps Volunteer, I often heard from other ex-pats the startling fact that Mongolia was the highest recipient of development aid per capita in the world. It was usually stated with a hint of derision that implied, “Look around and tell me that money isn’t being totally wasted here.” I am not sure why that fact stuck with me, but it may have been because not too long after my Peace Corps service I was doing an unrelated research project that involved looking at per capita aid amounts. Naturally, given the many times I had heard the aid per capita fact about Mongolia, I expected to see it at the top of the list. I was reminded of that experience of accidentally fact-checking Mongolia’s aid per capita rank while reading a recent article in Foreign Policy Magazine written by Professor Peter Murrell at the University of Maryland. Professor Murrell begins his article by describing the Mongolian news cycle, which is driven by itinerant international journalists and observers, as “publish, forget, and repeat.”1 This description of the news cycle caught my attention, because it is also a succinct way of describing the peculiar life cycle of knowledge about Mongolia. Returning to the aid per capita fact, Professor Morris Rossabi of Queens College published a book called “Modern Mongolia: From Khans to Commissars to Capitalists” in 2005. On the back cover of the book it is stated that Mongolia is “the world’s fifth-largest per capita recipient of foreign aid.”2 Not quite the highest in the world, but still pretty high. A similar yet more ambiguous statement appears in a report called “Mongolia – Heaven for Foreign Consultants” published the same year. It says “Mongolia is the fifth most aid-dependent country in the world.”3 There is no citation on the book cover and the report only provides a link to the OECD statistics website without additional information about how the ranking was derived. When I looked at per capita aid amounts after my Peace Corps service, in a sense I was inadvertently attempting to replicate the results of a previously established fact about Mongolia. A fact that international observers used to support arguments that implied a distinctive misuse of foreign development aid in Mongolia. To my surprise at the time, I was unable to replicate the expected result of Mongolia ranking in the top five. In preparing this post I decided to reproduce the rankings I did find. 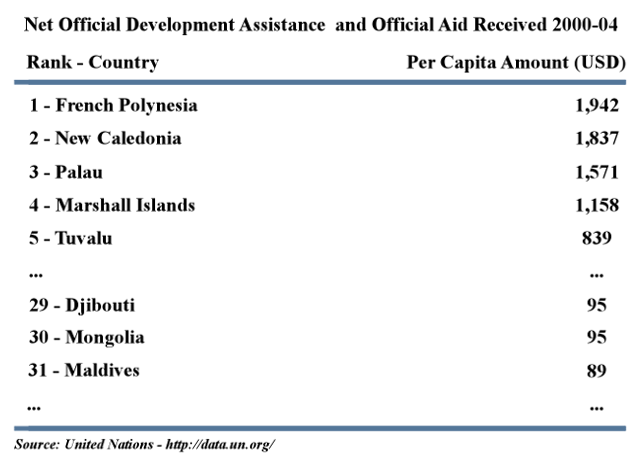 Using “net official development assistance and official aid received” and population data from the United Nations for the years 2000-2004, Mongolia had an average ranking of 30th just below Djibouti and just above Maldives.4 During that period the country received approximately USD 95 in aid per capita on average, which is considerably less than the highest amount received of USD 1942 per capita in French Polynesia. The point here is not to show that the statements of highest or fifth highest aid per capita were wrong (because I don’t know the underlying context or methods used to derive them) but rather to demonstrate how ambiguous ideas and uncertain information about Mongolia have a way of unjustly turning into definitive fact and common knowledge. The per capita aid ranking may seem benign today given the extraordinary economic growth in Mongolia, but it was used often in arguments for this or that policy prior to the rise of the mining economy. Given its prevalence and persistence in the public debate on development in spite of its inherit uncertainty, I came to the conclusion after seeing the United Nations data that the fact’s validity was assured by its expediency to criticize and reinforce biases rather than its grounding in reality. If you modify Professor Murrell’s “publish, forget, and repeat” observation slightly and substitute “uncritically recycle” or “use out of context” for “forget,” you get closer to how bad ideas can persist as fact for so long. 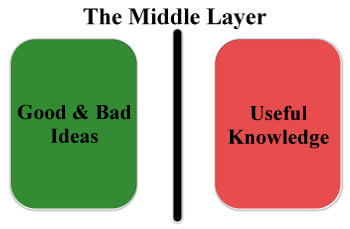 The middle layer between where ideas spontaneously leap into existence and where they become definitive knowledge is a very narrow filter that allows more than its fair share of bad ideas to get through. The diversity of expert information sources is limited, and this unintentionally allows good ideas to be overlooked or forgotten and bad ideas to get uncritically recycled and reinforced in the body of knowledge. Conceptually one can think of the middle layer here as the critical observation and debate that spring up around social and political issues. There are classes of professionals such as journalists, academics, and business analysts who make their livings analyzing, synthesizing, and refining information in the middle layer. They make a living, at least, if there is a market large enough to support their services, and in principle they face competitive pressure to continuously refine ideas to improve their predictive or explanatory ability. Good ideas still get overlooked and bad ideas still make it through, but over time the good should dominate the bad. The market for expert analysts and synthesizers in Mongolia is not large. It is generally oriented towards services like specialized or proprietary consulting for businesses, technocratic analysis for other technocrats, or partisan tabloid journalism. Academic research also has a tendency to become sequestered in difficult to access books or journals, further reducing the supply of good and useful information. As such, the rest of us can often feel left out in the cold grasping for knowledge. 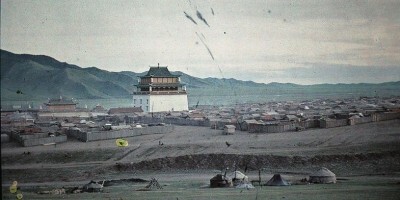 It is a frustrating part of life in Mongolia if one truly cares about understanding what is happening in the country. Instead of having more information sources than one can ever hope to utilize, any ideas with mere plausibility, no matter how dubious their sources or implications, are zealously snatched up and often uncritically used to do things as benign as explain a curious situation to as dangerous as influencing political or policy decisions. Consider the way the office of the president and, in particular, President Elbegdorj is portrayed in international media. In 2010 Newsweek magazine declared President Elbegdorj “The Future King Midas” given the immense gold and precious mineral wealth in Mongolia. A fantastic statement from the piece is “Mongolian president Tsakhiagiin Elbegdorj knows he’s sitting on a gold mine.”5 The problem with this observation beyond its patent silliness is that it presumes that the power of the executive lies in the president in Mongolia’s political system rather than the cabinet overseen by the prime minister. The constitutional authority of the president is very limited, especially in terms of how the country’s mineral wealth will be used, so saying that he by himself is sitting on a gold mine is a stretch that leads to the very wrong conclusion that he alone holds sway over Mongolia’s economic fate. There is no way of knowing if the Newsweek piece had an impact on people’s perception of the power of the presidency, but President Elbegdorj does seem to enjoy a certain level of international notoriety that indicates that this skewed perception is not unusual. The upcoming election for president, for example, has been routinely pointed to as a major factor driving the dispute between the government and Rio Tinto over Oyu Tolgoi. The argument goes that the president is burnishing his populist credentials by showing how tough he is on foreign investors. Maybe. But, the election date was only set recently and campaigning is several weeks away. Moreover, he still is not facing any credible challenge. Projecting presidential executive power from other political systems onto Mongolia’s misses the reality that the government is led by the prime minister and his cabinet even if the president may be an accomplice in the cabinet’s political strategy. There are better and more accurate political reasons for the dispute, too. The biggest being that the national budget has a huge deficit and the dispute was kicked off on the basis of raising more money through increased royalties. Seeking revenue–not votes–is likely more the dominant force behind the political tension at the moment. To international observers he was upbraiding foreign investors to burnish his credentials, and maybe he was in part. But, his remarks also provided a deeper insight, whether consciously or subconsciously intended, about the government’s difficult situation in managing its own responsibilities. This insight was generally overlooked, and missed another possible explanation of the president’s strident remarks as a form of political deflection. So, is the dispute more about pure political calculations of “resource nationalism,” elections, and populist credentials or is it more about problems of governance such as revenue, mitigating deficiencies, and deflecting blame? Maybe it’s a little bit of everything, but the election has somehow become the dominant explanation. This may be because it provides false hope that things will naturally calm down after the election or because it confirms an assumption that there is a hidden strategy to rationally explain the self-inflicted wounds resulting from the Oyu Tolgoi dispute. Whatever the reason, the election argument is far from conclusive. The middle layer between ideas and established knowledge should be dynamic and an ever churning sea of new observations and debate, but in Mongolia the middle layer is at times depressingly static and bad ideas are stubbornly persistent. I often get the impression that there are only two acceptable ways to view any situation in Mongolia and to get those views published, either be simplistically negative or simplistically positive to fit into well worn narrative templates. It doesn’t hurt to throw in elaborate conspiracies as well from time to time. It is understandable from a human perspective why this is the case. We’re all looking for easy answers, and where there are none, our imaginations are prepared to fill in the gaps. However understandable the situation may be, it makes the refrain in the Steelers Wheel song “Stuck in the Middle with You” feel like the unofficial anthem of those who wish for better. In social policy and politics there is rarely Truth with a T, and diversity of well informed opinion, insight, and observation provides the best defense against bad ideas dominating the body of knowledge. The life cycle of knowledge about Mongolia is not there yet, but there is hope that as Mongolia’s economy continues to grow maybe the middle layer will also grow with it. 1. 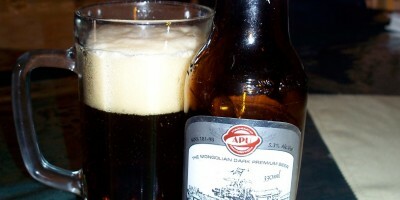 Peter Murrell, “Mongolia’s Growing Pains Mongolia’s blue skies may soon be darkening. A key challenge: Putting the mining companies in their place”, Foreign Policy Magazine, http://www.foreignpolicy.com/articles/2013/04/05/mongolia_s_growing_pains, 2013-04-05. 2. See back cover Morris Rossabi, “Modern Mongolia: From Khans to Commissars to Capitalists”, University of California Press, 2005. 3. 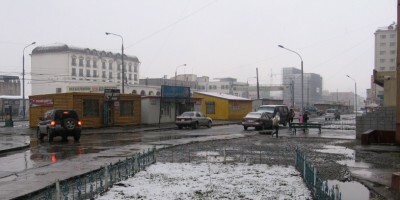 Lkham Luvanjamts & Marie Söderberg, “Mongolia – Heaven for Foreign Consultants”, http://swopec.hhs.se/eijswp/papers/eijswp0215.pdf, 2005, pg. 1. 4. Using “Net official development assistance and official aid received (current US$) 2000-2004” and “Total population, both sexes combined (thousands) in 2000” from http://data.un.org/, I averaged per capita aid amounts using base 2000 population data. A similar result is derived using “Net ODA received per capita (current US$)” from http://data.worldbank.org/indicator/DT.ODA.ODAT.PC.ZS. 5. Isaac Stone Fish, “The Future King Midas: Tsakhiagiin Elbegdorj”, Newsweek, http://www.thedailybeast.com/newsweek/2010/08/16/go-to-the-head-of-the-class.item-11.html, 2010-08-16. 6. See example Michael Kohn & Yuriy Humber, “President Says Mongolia Should Get More Control of Mine”, Bloomberg, http://www.bloomberg.com/news/2013-02-04/mongolia-should-have-more-control-of-rio-mine-president-says.html, 2013-02-05. 7. “…хамгийн гол юм одоо мэргэжлийн сайн баг бүрдүүлэх хэрэгтэй…Тэгэхийн тулд, мөн сайн хүн авчирч ажиллуулахад санхүүжилт хэрэгтэй…Рио Тинто гэдэг олон улсын энэ том компани дэлхийд байгаа хамгийн сайн хуульч, хамгийн сайн санхүүгийн улсууд, хамгийн сайн, магадгүй цаанаа энэ олон буруу сайн зүйлийг хийж чаддаг нөхдүүдийг хөлсөлнө. Монголчууд өөдөөс нь ганц сайд, хоёр сайд, нэг газрын дарга уулзаж байж болохгүй. Тэгэхээр манай баг мэргэжлийн сайн баг байх ёстой. Үүнд мөнгө ч гаргах хэрэгтэй. Анхаарал ч тавих ёстой.” See “Оюу толгой хуулийг яаж хэрэгжүүлдэг, яаж хүндэтгэдэг, яаж ил тод, хяналттай ажилладаг гэдгээ харуулах ёстой”, Official Website of the President, http://www.president.mn/mongolian/node/3190, 2013-02-01. 8. See Stealers Wheel, “Stuck in the Middle With You Lyrics”, http://www.stlyrics.com/lyrics/reservoirdogs/stuckinthemiddlewithyou.htm.